This is the ampitheatre in the Botanical Garden. 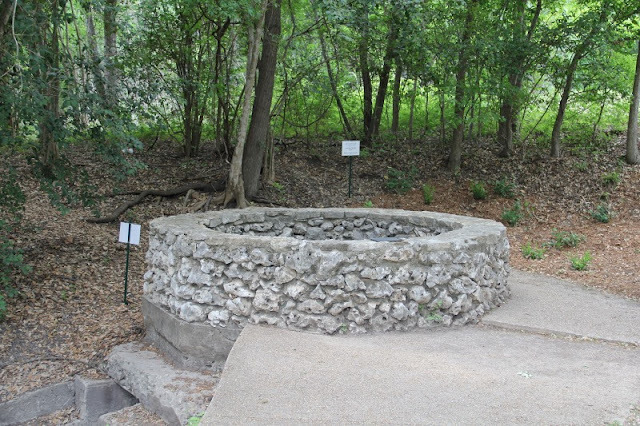 During the years of the Water Works Company, this was the reservoir for the water pumped from the Upper Pump House which was located 1/2 mile below the Blue Hole, the official headwaters of the San Antonio River. This is the Blue Hole as it looks today, bone dry. 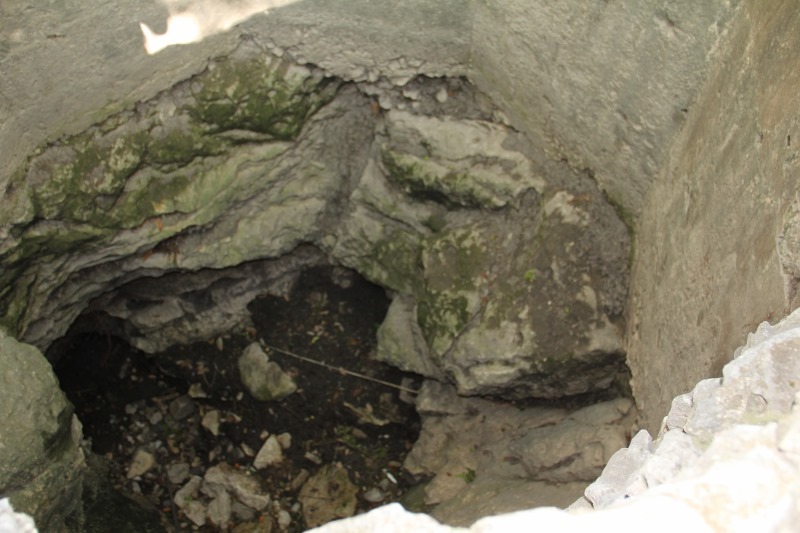 A combination of drilling artesian wells and exteme drought took its toll on the spring. 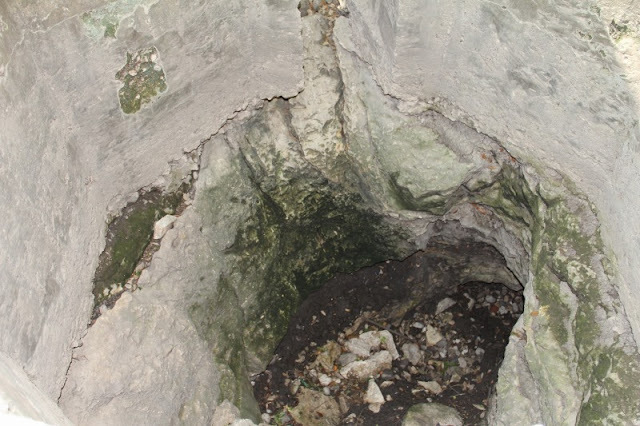 It will begin to flow again when the Edwards Aquifer reaches a certain level; however, the Aquifer is currently far below that level. In the 1940's the Blue Hole was dry, and did not begin to flow again until a significant rain in the early 1970's brought the water level up. When there is water flowing form the spring it has a bluish cast, thus the name. It is thought that the first Spaniards to have visit the Springs were members of a 1691 expedition led by Domingo Teran de los Rios and Father Damian Massanet who were enroute to visit the missions in East Texas. Father Antonio de San Buenaventura y Olivares would visit the site in 1709 and thought it would make an ideal location for a mission. 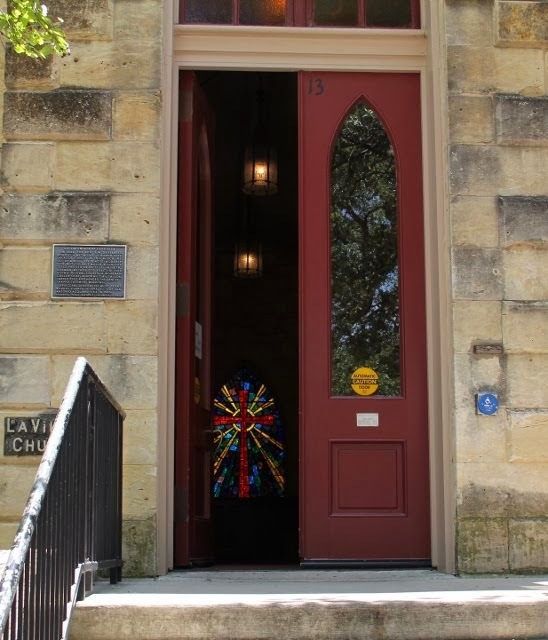 He would return in 1718 to establish the first mission, San Antonio de Valero (the Alamo) in its first location two miles west of the Blue Hole. 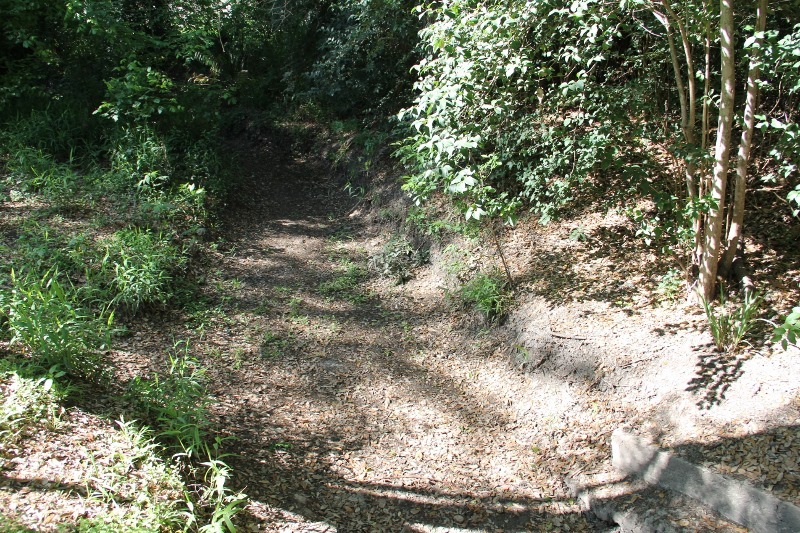 Early descriptions of the head waters describe the water as gushing several feet in the area with lush vegetation surrounding the waters. The Eurpoeans delighted in the water source that had drawn the native peoples to the area for centuries. 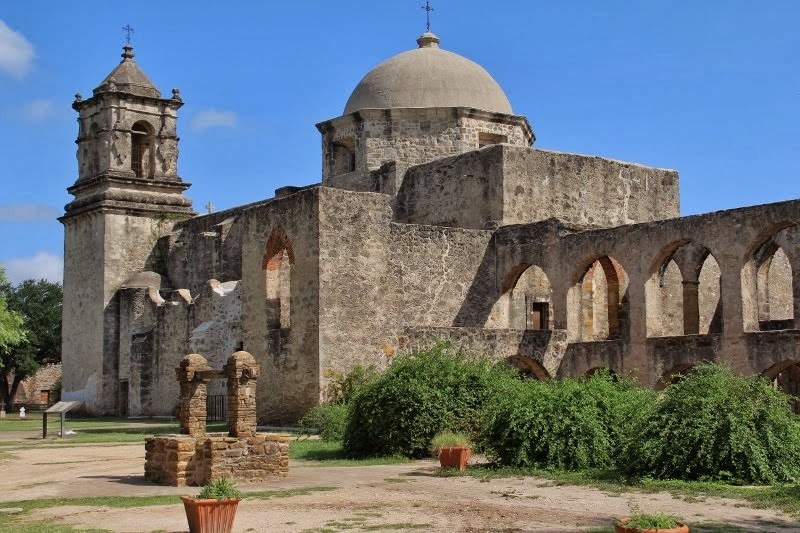 Each of the missions would build acequias to bring the fresh water from the river to the mission. This area is part of the campus of the University of the Incarnate Word and is a protected area of over 50 acres. 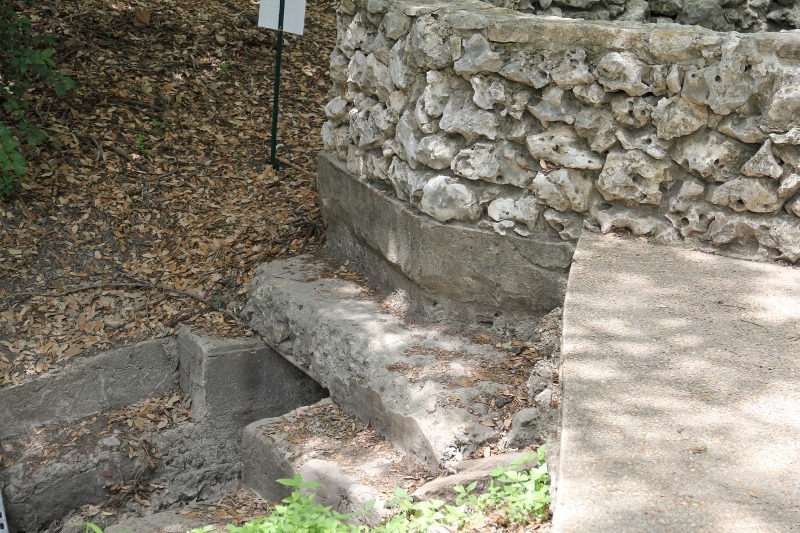 A plaque on the rock wall explains that George W. Brackenridge built the concrete surround to protect the spring; it goes down to within a few feet of the Edwards Aquifer. 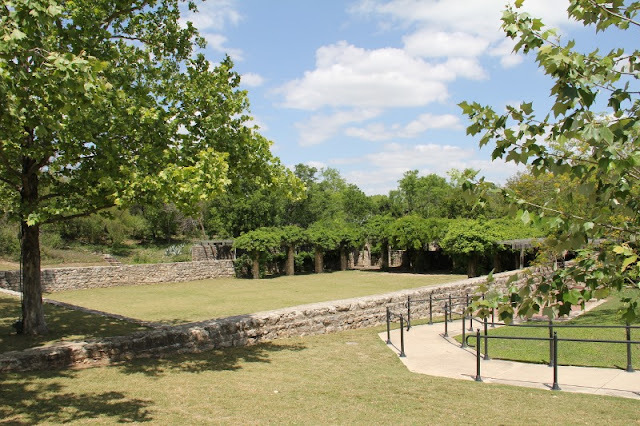 The rock wall was added in later years as additional protection.In 2008 the Congregation of the Sisters of Charity formed The Headwaters Coalition, a non-profit, sponsored ministry dedicated to spreading an ecological ethic and protecting this forested area that includes the Blue Hole and Olmos Creek. In the 1890's there was still enough water here to make this a popular spot to come on Sunday afternoons. A small dam was constructed that created a long, wide lake. I wanted very badly to hike down this dry river bed; only the signs that asked for respect for the protected area kept me out. 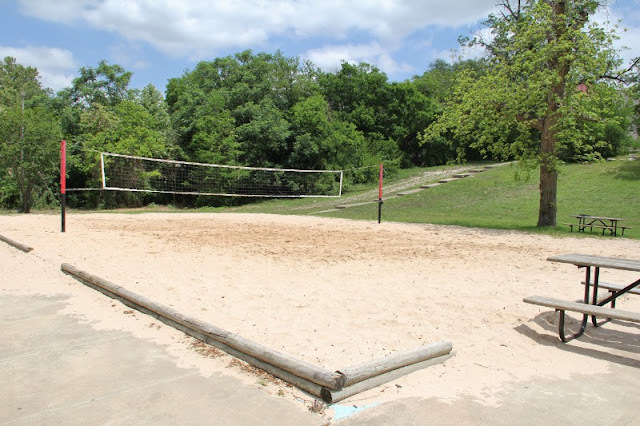 This volleyball court was once a spring fed pool! I am captivated by the small, simple things of life and am always surprised by the joy they bring to me upon their discovery. In the past few years I have found enjoyment in sharing them with others through the written word and photographs. This blog is a creative effort that reflects the things I love, both great and small. Sometimes I share other subjects, but always in the spirit of bringing peace and joy to the reader. All information on this blog is from public sources I believe to be reliable. All pictures are my own, unless noted otherwise. Please be respectful of my efforts and if you want to share content remember to cite this blog as your source! I have two other blogs!